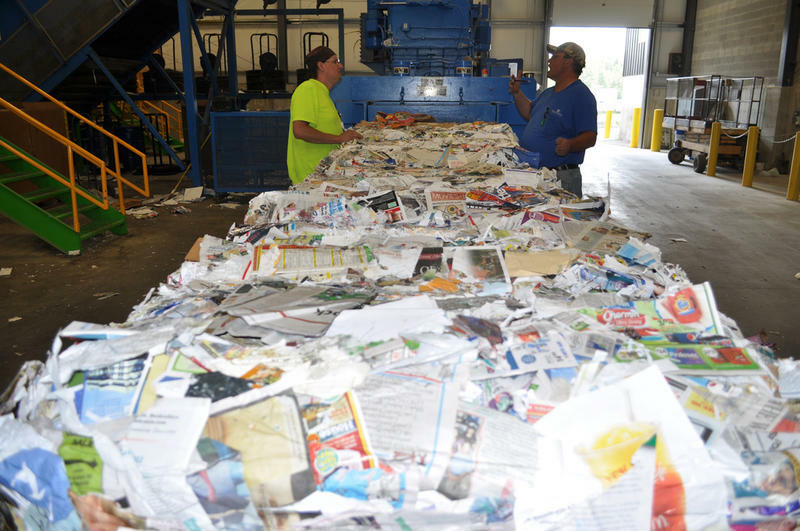 Inside one of the more successful recycling programs in the state - Emmet County's Material Recovery Facility. The Environment Report for Thursday, August 25th, 2016. "I mean everybody is charging you a lot of money if they come and pick up your recycling." "Right now, there’s not too many people who can recycle," says Franciso Colón with Ventura Manufacturing in Zeeland. "I mean everybody is charging you a lot of money if they come and pick up your recycling." 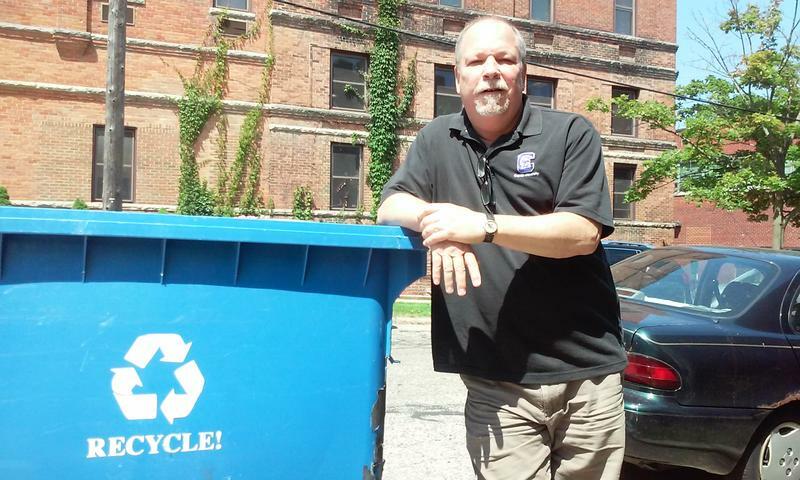 Executive Director of the Michigan Recycling Coalition Kerrin O'Brien says recycling programs have never been free, but programs have been able to offset some of the costs by selling the material to companies that want it. The problem right now, O'Brien says, is that the price of oil and some other raw materials is low right now. "It makes the margins very slim, so in some cases, it's more expensive to incorporate a recycled commodity than it is a virgin commodity." "It makes the margins very slim, so in some cases, it's more expensive to incorporate a recycled commodity than it is a virgin commodity," says O'Brien. So making a plastic bottle with petroleum products drawn out of the ground can be cheaper for companies than making the same bottle with recycled plastic. The same principle has been true for glass bottles of late. It's cheaper just to make the glass from sand pulled out of the ground than from recycled glass. The fact that markets for recycled glass have dried up is one reason why places like the University of Michigan have stopped taking it. Glass recycling markets have decreased nationwide in the past 15 years, and locally the types of glass accepted for recycling have decreased to the point where acceptance of glass materials is limited. O'Brien says there was a day when recycling programs made more money on the open market from the materials they collected. It made the programs more attractive. The other challenge O'Brien points to is the fact that there are systems and policies in place to support landfills. She says state policy makers focused on making sure there was good "disposal capacity" in Michigan. There's plenty of landfill space in the state. We even import trash. Close to 23% of the stuff we put in landfills last year came from out of state. Close to 23% of the stuff we put in landfills last year came from out of state. O'Brien says the same commitment to setting up a recycling infrastructure has not been made. She says studies have shown millions of dollars are being wasted by tossing valuable materials into landfills. "Because we are really are beholden to the bottom line, it really takes businesses and communities who are committed to making this transition from a waste-based culture, to a resource based culture." O'Brien says more can be done to establish regional markets for materials that can be pulled from the waste stream. She says state lawmakers and policymakers need to do more. Michigan has the worst recycling rate in the region. Right now, the residential recycling rate is Michigan is estimated to be at 15%. Governor Snyder has a proposed action plan to improve that rate. In 2014, it was estimated that people in 25 of Michigan's 83 counties had "convenient access" to recycling. Increase statewide participation in recycling to above the Great Lakes states average by December 2017. O'Brien says implementation of this plan is taking longer than they expected. She says policies are still in place that favor tossing things in the landfill rather than working to taking those things out of the waste stream. "It's truly better to get the most out of the resources that are already circulating in our economy," says O'Brien. "It doesn't serve Michigan well to bury those resources and then allow them to be a liability on the state." State lawmakers did take up one element of the Governor's proposed action plan on recycling this year. Lawmakers passed a bill that requires more reporting on recycling rates throughout the state. Should we recycle some things and not others? Right now, recycling facilities can't get much return on glass or on plastic. They do get decent returns on things like aluminum and paper, however. So should recycling operations follow what places like the University of Michigan has done and only collect certain materials and not others? It's really hard to turn the faucet on and off on a whim. O'Brien says one of the toughest things to making a recycling program viable is getting people to participate. She says it's really hard to turn the faucet on and off on a whim - or based on the markets. She says people get frustrated by trying to keep up with what they can and can't recycle. "We already have a problem in Michigan where every program is different. Where you live, where you work, where you play all have different things you can recycle," O'Brien says. The state does have one consistent source of recycled material - that's the plastic, glass, and aluminum collected by way of Michigan's 10 cent bottle law. There are lobbyists who want to end this program, arguing it's a drag on grocers and businesses on the state. But those in favor of keeping the program say if it's ended, it's just more of a guarantee that more valuable material will get tossed in the landfill. They say the state has to improve recycling overall before considering doing away with the bottle law. *This post was last updated on August 31, 2016. Members of the public told a state panel they have concerns about landfills in their backyards. The hearing on Wednesday was part of the Department of Environmental Quality’s waste management task force. The task force was created in April of 2015. Its job is to come up with ways to increase recycling and re-use trash in the state. Steve Sliver is the acting chief of the state Office of Waste Management and Radiological Protection. He says the panel is hoping to create laws to promote sustainability in Michigan. 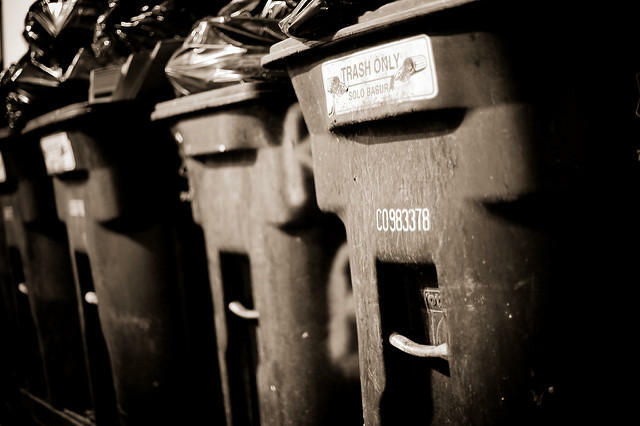 The state wants your ideas: How can we change our trash-tossing ways? Do you have any idea how much money we are throwing away with that all that garbage that's going into our landfills? 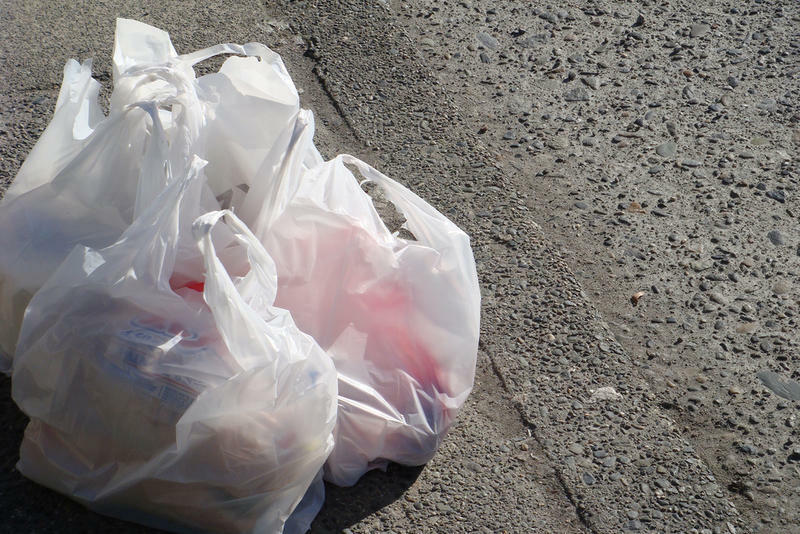 Tomorrow, the Michigan Department of Environmental Quality will hold a public meeting in Lansing to figure out how to rethink the way we deal with garbage and trash. At the meeting, members of the public will get a chance to weigh in on the first major revision of our trash disposal and recycling laws since the 1990s. The state is launching an effort in Flint to recycle the tens of thousands of water bottles and filters pouring into the city. By one estimate, only about 16% of Flint residents routinely recycle. The city’s lead-tainted drinking water crisis is creating another problem with what to do with donated water filters and bottles. State and local officials are teaming up with local companies to give Flint residents more ways to dispose of used water bottles and filters.